Will Central Banks Survive to the Mid-21st Century? After nearly nine years of a radical experiment injecting tens of trillions of dollars and dollar equivalent currency into their economies, the major central banks of the advanced economies – the Federal Reserve (Fed), Bank of England (BoE), European Central Bank (ECB), Bank of Japan (BoJ), and the People’s Bank of China (PBOC) – appear headed toward reversing the policy of massive liquidity injection they launched in 2008. Fundamental forces in recent decades associated with globalisation, rapidly changing financial structures worldwide, and accelerating technological change significantly reduced central banks’ ability to generate real investment and productivity gains – and therefore economic growth – after nine years of near zero and negative benchmark rates. The same changes and conditions may threaten a quicker than anticipated negative impact on investment and growth should rates rise much in the near term. In the increasingly globalised, financialised, and rapid technological change world of the 21st century, central bank interest rate policies are becoming less effective – and with that central banks policies less relevant. For the past nine years the major central banks have embarked on an unprecedented experiment, injecting tens of trillions of dollars of liquidity into their banking systems and economies – by means of programmes of quantitative easing (QE), zero interest rates (ZIRP) and even negative rates (NIRP), among other more traditional means. The consequence has been the ballooning of their own balance sheets. Officially, the balance sheets of the five major central banks today total conservatively $20 trillion. The Fed’s contribution is $4.5 trillion. The ECB’s just short of $4.9 trillion, but still rising as it continues its quantitative easing, QE, programme purchasing both government and private bonds. The BoJ’s is more than $5 trillion, while it too continues even more aggressively buying not only government and corporate bonds but private equities and other non-bond securities as well. The BoE’s total is heading toward $1 trillion, as it re-introduced another QE programme in the wake of the Brexit vote in June 2016. And the PBOC’s is estimated somewhere between $5 and $7 trillion – the result of liquidity injections supporting its state policy banks and entrusted loans to industries and local government construction projects. Add in important “tier 2” central banks – like the Swiss National Bank, the Bank of Sweden, and central banks of India, Brazil, Russia and others – that in recent years have also significantly increased their balance sheets, global balance sheet totals easily exceed the $20 trillion of the five majors. This historically unprecedented $25 trillion global liquidity injection by central banks worldwide has occurred within the context of a simultaneous general retreat from fiscal policy as well – at least in the form of government direct investment and spending. The $20 trillion itself is actually an under-estimation of cumulative liquidity injections that have occurred since 2008. Although the Fed officially ended its QE3 programme at the end of 2013 when its total reached $4.5 trillion, it continued re-buying securities thereafter as some of its earlier bond purchases matured and “rolled off”. The repurchases kept its balance sheet level at $4.5 trillion. Bloomberg Research has estimated the Fed has purchased 2008 more than $7 trillion since 2008 when its repurchases are considered. Similar reinvestments by the other four major central banks would likely add even more “cumulative trillions” of liquidity injections since 2008 to their official $20 trillion balance sheet totals. The actual liquidity injected is therefore likely closer to $25 trillion. Some argue the reinvestments shouldn’t be counted, since the maturing of bonds represent liquidity removed from the general economy. But that view disregards any money multiplier effects on private debt and debt leveraging. Even after maturing, the bonds leave a residue of debt-generation in the economy regardless whether the bonds are repaid. The liquidity might be removed from the economy, but its multiple of residue of debt and leverage remain. This historically unprecedented $25 trillion global liquidity injection by central banks worldwide has occurred within the context of a simultaneous general retreat from fiscal policy as well – at least in the form of government direct investment and spending. With the exception of China perhaps, it has meant almost total reliance in the advanced economies on central bank monetary policy. Since 2008 central bank monetary policy of massive liquidity injection, generating super-low (and even negative) interest rates, has been the “only game in town”, as others have aptly described.2 Talk of renewed government investment and spending in the form of infrastructure investment has to date been only talk. Elites and policy makers in 2008 chose central bank monetary policy as the primary, and even sole, engine of economic recovery. And it has proven an engine running on low octane fuel, and now running out of gas. Has the Nine-Year Experiment Failed? In retrospect, monetary policy has not been very effective – whether considered in terms of generating real economic growth, achieving targets of price stability and employment, or even in terms of ensuring central banks’ primary functions of lender of last resort, money supply management, and banking system supervision. If measured in terms of central banks’ primary functions, avowed targets, and monetary tools’ effectiveness, the past nine years of “monetary policy first and foremost” (with fiscal spending frozen or contracting) may reasonably be argued to have failed. The $20 trillion central bank monetary experiment was supposed to bail out the banks, generate employment, raise goods and services prices to at least 2% annually, restore financial stability, and return economic growth in GDP terms to pre-2008 crisis averages. But it has done none of the above – despite the $20-$25 trillion massive liquidity injections. That in turn raises the question: should anyone believe central banks’ pending policy shift – i.e. to sell off and reduce their balance sheets and raise interest rates – will prove any more successful? Both mainstream and business media generally concur that central banks policies since 2008 saved the global economy from another 1930s-like global depression. But an assessment of central banks’ performance in terms of their primary functions, in achieving their publicly declared targets and objectives, and in the effectiveness of their monetary policy tools suggest the track record of central banks has been far less than successful. Should anyone believe central banks’ pending policy shift – i.e. to sell off and reduce their balance sheets and raise interest rates – will prove any more successful? Lender of Last Resort Function. Clearly some of the biggest commercial banks were rescued after 2008. The bailout was enabled by means of a combination of programmes: i.e. central banks providing virtually zero interest loans and loan guarantees to banks, directly buying bad assets like subprimes from banks and private investors at above market rates, forcing bank consolidations, suspending normal accounting rules, establishing government run so-called “bad banks” to offload bad debt, and by temporary bank nationalisations. But the global banking system today is still over-loaded with a mountain of non-performing bank loans (NPLs) and other forms of private debt and remains therefore still quite fragile. Lender of last resort appears to have been successful in rescuing some large banks, but much of the rest of the banking system has been left mired in a swamp of bad debt. Official data show NPLs in Europe and Japan officially at levels of $1-$2 trillion each. But much of it is concentrated dangerously in certain periphery economies and industries, which makes their NPLs potentially even more unstable. China’s NPLs are estimated around $6 trillion. NPLs in India are certainly hundreds of billions of dollars and perhaps even more, and are almost certainly officially underestimated. Then there’s Russia, Brazil, South Africa and other oil and commodity producing countries, the NPLs of which – like India’s – have been accelerating particularly rapidly since 2014 as a percent of GDP, according to the World Bank. Moreover, all that’s just official data, which grossly underestimates true totals of bad debt still on banks’ balance sheets, since many NPLs are conveniently reclassified by governments as “unrecognised stressed loans” or “restructured loans” in order to make the magnitude of the problem appear less serious. In other words, the $25 trillion central bank liquidity experiment has left the global economy with $10 to $15 trillion in global NPLs. And that’s hardly an effective “lender of last resort” performance, notwithstanding the bailout of the highly visible big banks like Citigroup, Bank of America, Lloyds, RBS, and others. What remains is a massive bad bank loan debt global overhang of at least $10 trillion. And when high risk private debt in the form of corporate junk bonds, equity market margin debt, household and local government debt are considered as well, “non-performing” debt totals likely exceed $15 trillion worldwide at minimum. A truly effective lender of last resort function would have cleaned up at least some of this bad debt, but it hasn’t. Beneath the appearance of a successful post-2008 lender of last resort function lies massive evidence of central banks failure in their performance of this function. The global economy thus remains highly fragile, despite the $25 trillion liquidity injections by central banks since 2008.3 The global banking system is permeated with “dry rot” in many locations. If financial stability is an avowed objective of central bank policy, the magnitude of global NPLs and other forms of non-performing private debt is ample testimony that central banks have failed the past nine years to restore stability of the financial system. Central banks have failed to implement pre-emptive lender of last resort programmes and have been content to respond in reactionary fashion as lender of last resort after crises have erupted. Money Supply Management Function. The great liquidity experiment is not just a phenomenon of the post-2008 period. It has been underway for decades, beginning with the collapse of the Bretton Woods international monetary system in the 1970s which gave central banks, especially the Fed, the task of stabilising global currency exchange rates, ensuring price stability, and facilitating global trade. Neoliberal economic policies, first in the UK and USA then later elsewhere, further encouraged and justified central bank excess liquidity policies since the 1980s. The removal of restrictions on global money capital flows in the late 1980s helped precipitate financial instability events globally in the 1990s that further encouraged central bank excesses. So did technological change in the 1990s that linked and integrated financial markets and accelerated cross-country money velocities that made banking and financial systems increasingly prone to contagion effects. As financial asset markets’ bailouts grew in frequency and magnitude after 1990 in response to multiple sovereign debt crises, Asian currency instability, bursting tech bubbles, and subprime housing and derivatives credit booms, central banks provided ever more liquidity to the system. At the same time changing global financial structures gave rise to forms of non-money “inside” credit and technology increasingly spawned forms of digital money – over both of which central banks have had little influence as well. The 2008-09 global crash thus only accelerated these developments and trends already underway for decades. Financialisation, technological change and globalisation thus have all served to reduce central banks’ ability to carry out their money supply function as well. Moreover, central banks themselves have exacerbated the trends and loss of control by embracing policies like QE, ZIRP, and NIRP which, in effect, have thrown more and more liquidity at crises – i.e. crises that were fundamentally created by excess liquidity, runaway debt, and leveraging in the first place. The solution to the last crisis – i.e. liquidity – would become the enabling cause of the next. Banking Supervision Function. Central banks have been no more successful in performing their third major function of banking supervision. If banks were properly supervised the current volume of NPLs would not have been allowed to grow to excessive levels. Central banks would intervene and check financial asset price bubbles before they build and burst, threatening the entire credit system and collapsing the real economy. 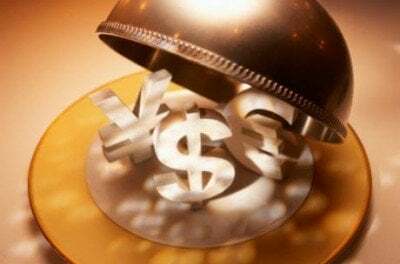 Limited initial efforts to expand bank supervision role of central banks following the 2008 crash – such as Dodd-Frank legislation in the US and the Financial Stability Authority in the UK – have been checked and are being dismantled step by step. In Japan, bureaucratic forces have effectively stymied more bank supervision for decades and little more was done after 2008. In Europe, supervision remains largely still with national central banks. Efforts to coordinate bank supervision across central banks with the Basel II and III agreements are moribund. And nowhere have effective regulatory measures been implemented to address the huge shadow banking system, rapidly expanding online banking, or the growing role of global multinational corporations’ financial departments, which have been transforming them into de facto private banks as well. Never totally responsible for bank supervision – and only one institution among several tasked with supervising the private banks – central banks have never been very successful performing bank supervision. And now that function is again weakening across many locations of the global economy. The Failure to Achieve 2% Price Stability. Failing functions of lender of last resort, money supply and credit control, and banking supervision are not the only indications of central banks’ failure in recent decades, and especially since 2008. No less indicative of failure has been central banks’ inability to achieve their own publicly declared targets. Failure to achieve their 2% price stability target has been particularly evident. Since 2008 the economies of Europe and Japan in particular have repeatedly flirted with deflation in goods and services prices. When not actually deflating, prices have either stagnated or barely rose above zero. Even the US economy, which analysts herald as performing more robustly than the others, the Fed’s preferred Personal Consumption Expenditures, or PCE, price index has consistently failed the 2% threshold. And over the longer term has steadily drifted toward 1% annual rate or less. And in recent months it has been near zero. China’s prices have performed better, but that has been mostly due to periodic booms in its housing sector and its several fiscal stimulus programmes that have accompanied its central bank’s liquidity injections policy since 2011. Despite the $25 trillion, central banks have clearly failed to achieve anything near their declared 2% price targets. Unemployment and GDP Growth. While the ECB, BoE, and BoJ limit their targeting to a 2% price stability rule (the PBOC to 3.5%), the US Fed officially maintains that employment and economic growth are also official targets of central bank monetary policy. But it has been mostly lip-service. Since 2015 the Fed has touted the fact of the US economy’s unemployment rate has fallen to only 4.5%. But 4.5% is not the true US unemployment rate. It is the government’s official U-3 rate, which estimates only full time permanent employment. At least an equivalent percentage of the US labour force remains unemployed in the US economy when part time, temp, and contract work – i.e. underemployment – is considered. That’s the U-6 unemployment rate which the Fed conveniently ignores. The true numbers of jobless are even higher than the U-6, when workers who never entered or drop out of the labour force are considered, or when the millions more who chose permanent disability status in lieu of unemployment are added; or when the poorly estimated growing underground economy and undocumented immigrant labour force are considered. The true US unemployment rate remains over 10%, as it does as well in Europe. If central banks’ $25 trillion liquidity injection are measured against restoring economic growth rates, the picture fares no better. Despite the Fed’s QE, ZIRP, and related programmes, the US economy has grown since 2008 at an annual rate, in GDP terms, averaging only 60% of its pre-crisis economic average. On three separate occasions since 2010 the US economy collapsed to near zero growth for one quarter. Europe’s GDP performance has been even worse, experiencing a serious double dip recession in 2011-13, and chronic growth rates well below 1% for most of the period that followed. And Japan’s growth has been even worse than Europe’s, experiencing no less than four recessions since 2008. Only China has performed better, but most likely due once again to its significant fiscal stimulus programme of 2008-09 and additional mini-fiscal stimulus thereafter and not due to monetary policy. In 2012 every dollar of liquidity provided by the PBOC generated an equivalent dollar of real GDP growth; today, that ratio is four dollars necessary to generate one dollar of real growth. Monetary Policy Tools’ Effectiveness. With the 2008-09 global crash, it became almost immediately evident that central banks’ traditional monetary tools, like open market operations bond buying and reserve requirement adjustments, were seriously deficient for both bailing out banks and assisting economic recovery. New, more radical policy tools were introduced – specifically QE, ZIRP and then NIRP. How effective have the new tools been, one might ask? While they reflated part of the banking system no doubt, the negative costs of the QE-ZIRP-NIRP have risen steadily since 2008. Much of the QE driven liquidity – especially direct buying of investors’ subprimes by the Fed and ECB-BOJ purchases of corporate bonds and equities – have been misdirected into financial asset markets rather than real investment, redistributed to shareholders, diverted offshore, or remain hoarded on corporate balance sheets. Both real productivity and real goods and services prices have stagnated, while financial asset prices have bubbled – especially in equities, high yield corporate bonds, and derivatives like exchange traded funds (ETFs). The nine years of near zero interest rates have devastated fixed income households’ savings. Retirees’ incomes in particular have stagnated and declined, while capital gains incomes of investors and speculators have accelerated. That does not portend well for sustained household consumption. Central banks’ chronic low rates have been fueling a new “debt bomb” worldwide, not just in the advanced economies but increasingly in emerging markets as well. The long term QE-ZIRP has also been distorting various markets. Pension funds and insurance annuities have not recovered due to the chronic low rates of return, and are poorly positioned now for the next recession and crisis. Low rates have encouraged excessive corporate bond debt issuance, which has not flowed into real investment and productivity or wage incomes. In the US alone, corporate debt has exceeded $6 trillion in the past six years. Central banks’ chronic low rates have been fueling a new “debt bomb” worldwide, not just in the advanced economies but increasingly in emerging markets as well. Not least, the low rate regime for nearly a decade has seriously neutralised interest rates as a potential central bank tool on hand when the next recession occurs within the next few years. As the world’s primary central bank, the Fed has been desperate to raise rates in order to restore a policy tool cushion before the next crisis. Central banks in Europe and Japan are waiting to follow suit, to raise their rates and sell off their balance sheets, but will not do so until the Fed does more convincingly in the coming months. Due to new forces dominant in the 21st century, however, the Fed and other central banks may not be able to raise rates much higher (or significantly reduce balance sheets that will have the similar effect on rate hikes). It is this writer’s view that the Fed will not be able to raise its benchmark federal funds rate above 2%, or push the longer term 10 year Treasury bond yield (rate) above 3%, without precipitating another major credit crisis. And if the Fed cannot, the other central banks will not as well. Monetary policy may be already neutralised for the next recession and crisis. Whether based on assessment of central banks’ primary functions, central bank targets, or effectiveness of new monetary tools, it is reasonable to argue that central banks have not been performing very well in recent decades, and especially not well in the post-2008 period. As the Fed and other central banks now consider reversing and reducing the consequence of post-2008 policies by trying to sell of balance sheets and raise rates, that major policy shift will most likely prove no more successful than policies pursued 2008-2017 and perhaps even less so. Central banks have clearly not evolved apace with the rapid changes in globalisation, financial structures, and technology. The private banking and global financial system is changing far more rapidly than central banks have been able to adjust. Being essentially national institutions, they cannot adapt fast enough to the globalisation and economic and financial integration trends that are accelerating. Manipulation of national interest rates by central banks are thus becoming increasingly ineffective. Expanding, highly liquid and integrated global financial markets, proliferating new financial securities, new forms of digital money and inside credit beyond their influence, virtually unregulated (and perhaps unregulatable) global shadow banking institutions that now control more assets than commercial banks, fast-trading, dark pool investing, and coming artificial intelligence driven passive investing – all represent significant challenges to central banks’ functions, targets, and tools effectiveness. Their response has been simply to thrown more money and ever more liquidity at crises as they multiply and magnify. And in the process they lay the groundwork for still more speculative debt and leverage, more financial asset bubbles, and more subsequent financial instability to follow. The problem is not only technological or economic. Accompanying the changes has been the rise of a new global finance capital elite – i.e. the human agency driving changes both economically and ensuring those changes are enabled politically. Moreover, the problem is not only technological or economic. Accompanying the changes has been the rise of a new global finance capital elite – i.e. the human agency driving changes both economically and ensuring those changes are enabled politically. A couple hundred thousand super-wealthy individuals and investors who are transforming not only the global banking-financial system but who are steadily deepening their influence within the state and governments of the advanced economies as well their economies. They have been bending traditional government institutions – legislatures, executive agencies, and even courts – to their collective will. Central banks are being influenced and affected no less so. US economic policy today is largely determined by members of this financial elite. Despite this elite’s central role in causing and precipitating the last financial crash, none have gone to jail and their representatives now sit firmly in control of US levers of economic policy. The US Treasury, the New York Fed, and the National Economic Council are run by former Goldman Sachers Steve Mnuchin, Bill Dudley, and Gary Cohn. It is almost certain Cohn will replace current Fed chair Janet Yellen when her term expires next February, thus further solidifying that control. President Trump is himself a billionaire real estate speculator and member of this new finance elite, as are most of the private advisors with whom he communicates regularly and who have a swinging door access to the White House. 2. See Mohammed El-Erian, “The Only Game in Town: Central Banks, Instability, and Avoiding the Next Collapse”, Random House, 2016. 3. For an assessment of the “system-wide” fragility as of 2015, see Jack Rasmus, “Systemic Fragility in the Global Economy”, Clarity Press, January 2016. 4. Financial Times, August 19, 2017, p.R3.